Compro Technology today introduces the 4-channel RS-2104 Embedded Network Video Recorder. Compro RS-2104 aims to provide a cost-effective and reliable recording solution for Compro network cameras as well as ONVIF-compliant network cameras. 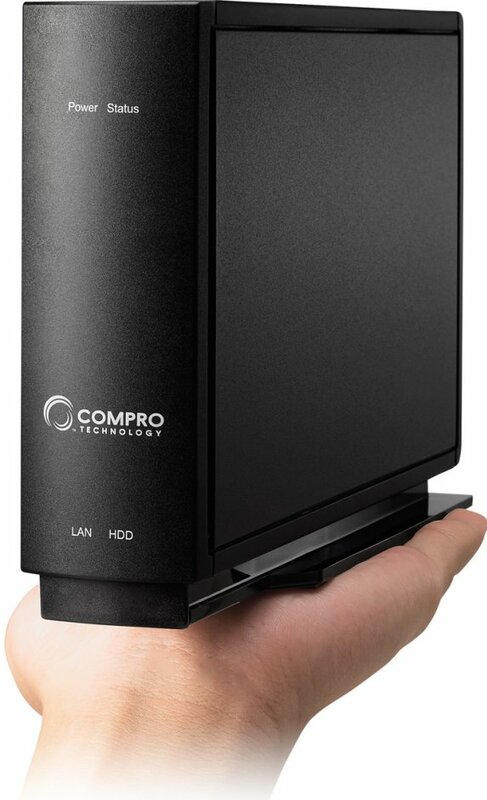 Compro RS-2104 is compact in size and can nicely fit anywhere in a home, shop or office. Supporting a maximum storage capacity of 3TB, RS-2104 also offers a USB port on the rear panel to enable fast and easy data backup to external USB storage device. This standalone NVR system consumes less than 20 watts in operation, making it the greenest recording solution and keeping the energy cost in check in round-the-clock surveillance. RS-2104 is embedded with robust Linux system and supports up to 4 megapixel network cameras, providing real-time synchronous H.264, MPEG-4, and M-JPEG video recording and monitoring. In addition to supporting the full line of Compro's network cameras, the NVR can also record video from ONVIF-compliant network cameras, bringing users additional flexibility in building their own surveillance network. RS-2104 offers a friendly browser interface, WebVUer, which allows users to remotely search, play back, and export video recordings. The browser interface is easy and straightforward to use and requires virtually no learning time. The built-in event notification feature means the RS-2104 can send out instant Email or SMS alert message once cameras detect unusual events. In terms of installation and setup, Compro RS-2104 employs the intelligent iWizard to make the process easy and effortless even for novice users. Setting up camera connections on the RS-2104 takes just a simple mouse click. A free Compro DDNS service is also available for letting users creating their own domain name and remotely accessing the NVR through the Internet. In all, RS-2104 is an ideal solution for home users as well as small businesses, offering them the robustness of Linux system and the flexibility and high image quality of IP-based surveillance system. Compro RS-2104 will be available to order from the end of October.